← Can the EU be hospitable? Nobel-Laureate-Paul-Krugman recently used his New York Times column to instruct Grandmothers on the best method for removing the contents of intact eggs (hint: with a straw). But his reductive account of Keynesian economics merely obliges a response on behalf of those he targets, despite his salvo falling both short, and wide. Unfortunately, the only serious response one can make is that, although the larger debate between Keynesians and ‘austerians’ will rumble on, probably forever, it is a long time – about 2 years – since this exercise in academic reputation management had any serious impact on policy debates. 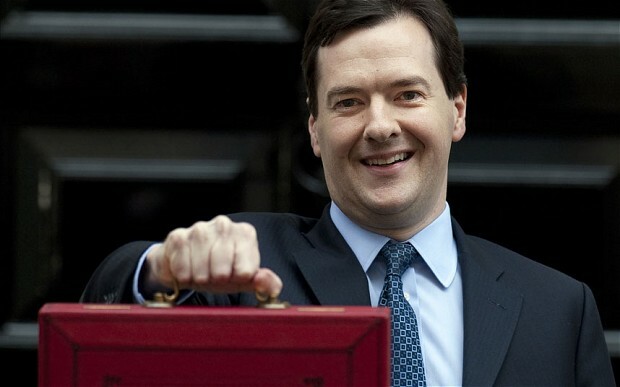 No doubt, lines were drawn and sides taken, but this was back in 2010 when UK Chancellor George Osborne first put forward his plan for reductions in public expenditure in the face of a downturn. Against this came the accusation that not only was this wrong, but that this notion of ‘austerity’ was so obviously and transparently wrong, the only explanation for supporting it was an ideological commitment to shrinking the state. Indeed, it was argued by Krugman et al at the time that the austerity ‘lie’ – sometimes referred to as a ‘scam’ – had no economic credibility whatsoever and was merely throwing dust in the eyes of a credulous public. Countering this view – aside from many famous and credentialed economists at the time and since, notably here and here – Jeffrey Sachs has recently weighed in to suggest that Osborne had been shown to be broadly right, and his policies broadly successful in dealing moderately and carefully with a very real crisis of credibility in the UK’s public finances. For this, Sachs was subject to the usual criticisms and the repetitive assertion that austerity ‘had no economic credibility’ and ‘had clearly failed’ but his response was simply that Krugman was ‘being ideological’, suggesting in the end that the results of the May general election ought to serve as a corrective to Krugman’s hubris. So let me respond by suggesting that the problem lies in the accusation that austerity is merely ideological. Of course, at one level everything is ideological, even the accusation of ideology itself, but austerity is actually premised upon one important – and widely accepted – assumption about the effects of debt over the long term. Those who advocate austerity may or may not want a smaller state, but this is not a necessary policy implication. It only has that appearance because it inevitably involves reductions in public expenditure at precisely the point Keynesians imagine you should increase public expenditure through deficit financing. This is only the case, however because Keynesians are only ever really Keynesian when the recession comes. Be honest, have you ever heard a Keynesian warning of excessive public expenditure? They never seem to follow through with the implications of their own doctrine by advocating public expenditure restraint when the economy is growing healthily. Which is really a reminder that debates about the precise and desirable levels of public expenditure are independent of the debate about austerity and debt. Calling it an ideology though does have the useful effect of closing down inquiry. Which is unfortunate for Keynesians because the experiment has been run and the preliminary results (in economics, results are always preliminary) are in. And although austerity predictably reduced growth through 2011-2013 (by an estimated 1-1.5%) each year, growth – as not predicted by Keynesians – picked up pretty strongly after that. So the verdict is actually broadly positive for the central suggestion behind ‘austerity’, which is simply that controlling overall levels of debt has the effect of reducing actual and forecast debt repayments, and incrementally improves long term growth rates. No doubt economists will argue about precise multipliers and all sorts of other uncontrollable variables for many years to come, especially given that some still debate the causes of the Great Crash in 1929. But no one is about to change course, simply because there is no longer the slightest justification for doing so. Unemployment, for example, in the UK is now low enough for Osborne to aspire to a widely accepted notion of ‘full employment’, which is hardly the sort of problem Keynes himself would have viewed as a dreadful crisis warranting large-scale deficit spending. Indeed, Keynes himself might have argued for harsher austerity now than we are currently experiencing comparatively high growth. Yet still we are treated to a reductive ‘debate’ that assumes ignorance in place of disagreement, and ideology instead of supporting evidence. For what Keynesians can’t quite bring themselves to acknowledge is simply that this debate was largely over by the end of 2013. And not in their favour. Until 2013 it was possible to highlight the relatively slow growth of the UK economy as proof that Keynesians had been right all along – as Brad DeLong did here – regardless that ‘austerians’ would have acknowledged the short term diminished growth rates everyone predicted in advance. However, over the course of 2013, several retrospective GDP revisions erased what had been assumed until then to be an ongoing ‘double-dip’ recession, before the GDP growth figures picked up pretty quickly. And throughout the period, unemployment stayed lower than anyone predicted. Of course, it has now become fashionable to compare UK growth rates against pre-crisis trend, rather than other post-crisis economies, because the latter comparison shows the UK bearing up quite well against countries that did not pursue austerity to the same extent. Consequently, both the Financial Times and The Economist (not to mention the more partisan Daily Telegraph) both pronounced Osborne’s strategy of public expenditure reductions broadly vindicated. Yet still the debate gasps on. Paul Krugman again wrote a long piece called ‘The Austerity Delusion’ published in The Guardian just before the 2015, which was actually a reworking of an article published in the New York Review of Books in 2013 (is it strange that all his big pieces are published in liberal/left wing arts and news publications?). Unfortunately, despite ‘The Austerity Delusion’ being published in 2015, the data on which it is based really only extends to 2013, and for a writer who made much of a spreadsheet error in the work of his rivals, this constitutes a pretty serious omission. Particularly so when one considers that the much fanfared errors in the work of Reinhart and Rogoff made little real difference to the conclusions of their book – which are still widely accepted, if continually debated – whereas extending Krugman’s dataset with data that was available at the time he produced his charts, appears to eliminate the central correlation that he claims substantiates his point (elaborated here). 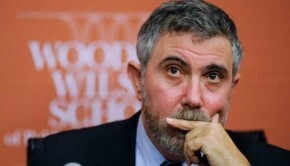 In any event Keynesianism – despite Krugman’s patient efforts – is very well understood by its critics. Strictly speaking, it argues for the possibility, given certain preconditions, of creating a virtuous cycle of investment and consumption in a context of depressed demand, and does not – importantly – argue for the wisdom of public investment generally (a vital, though separate, debate). But advocates of austerity, despite being perpetually cast in the role of pantomime villain, merely take a longer term view when weighing the value of deficit expenditure, knowing that debts create liabilities in the form of interest payments that can’t simply be erased by force of will and produce a direct, long-run drag on growth. But in the long run, we’re all dead, right? Or possibly still living with the consequences of the last time we got it wrong. I forget which. The debate between ‘austerity’ and ‘Keynesianism’ will always have a touch of the irresolvable fable about it. But at the moment, the Austerity tortoise plods boringly on, while the flighty Keynesian hare has fallen into a deep sleep, animated by its own dreams of inevitable victory. The evidence for this can be found quite simply in the behaviour of many governments and the almost universal expectations present in the market, which oddly enough help to keep borrowing rates at invitingly low levels, giving rise to the whole debate in the first place. And all of which comprise multiple actors who – for entirely pragmatic reasons – aren’t prepared to punt their credibility on the intellectual irredentism of an increasingly marginalised blogger. Dr Douglas Bulloch is a freelance writer based in Hong Kong and was once a Fellow in International Political Theory at the LSE. This entry was posted in Europe, United Kingdom and tagged austerity, debt crisis, fiscal deficits, George Osborne, growth, Neo-Keynesian policies, Paul Krugman, unemployment rate. Bookmark the permalink.